The Ohio Educational Library Media Association (OELMA) was thrilled to have received the AASL Past-Presidents Planning Grant for National School Library Standards. We are truly thankful to AASL and to Roger and Susan D. Ballard for sponsoring the award in honor of Judy King. The funds will be used to support OELMA’s Standards Subcommittee as they work to develop a series of modules that will be hosted on OELMA’s Schoology account. The modules will provide our members with online and blended training on the new AASL Standards. Work has already begun on the creation of the modules. Access to this network will be at no additional cost, adding value to OELMA membership. Additionally, funds will be used to help our two subcommittees, Library Promotions/Advocacy and Technology, under the Director Liaison of Communications, to create and promote an Online Resource Center, filled with successful lesson plans connected to the new AASL Standards. The Resource Center will be housed on our new Schoology account. These committees have been hard at work planning and collecting all the information needed to develop the lesson-plan database. Access to this database will also be free to OELMA members, and OELMA members will be encouraged to contribute to its growth and development. This is yet another way funds from the AASL Past-Presidents Planning Grant for National Standards will help us add value to an OELMA membership. The subcommittees involved plan to promote our Schoology network and the lesson-plan database through our listserv, the OELMA blog, the OELMA conference, various OELMA publications, and by attending regional Information Technology Center (ITC) meetings for school librarians held throughout the state of Ohio. Attending ITC meetings will allow us to market our new Schoology network to school librarians across the state of Ohio. Since not all attendees at ITC meetings are OELMA members, this approach will help us reach out to nonmembers so we can all become a stronger community and serve as many of Ohio’s school librarians and students as possible. Hopefully, we will encourage new membership, but, most importantly, we want to provide training to as many school librarians in Ohio that we can on the new AASL Standards. We will roll out the new Schoology modules at our annual conference held in Columbus, Ohio, on October 24-26, 2018. Our vision is to set up a promotional booth at the conference. To encourage our members to sign up for our Schoology network, we plan to hold a raffle. 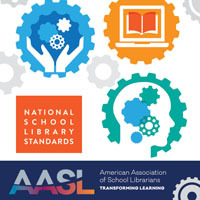 Two of our members that sign up to take the Schoology classes at the conference will win a copy of AASL’s National School Library Standards for Learners, School Librarians, and School Libraries. We will follow the conference with a series of emails via our listserv and blog posts, marketing to those members unable to attend. We will begin to visit regional ITC meetings shortly after the conference roll-out. OELMA members are truly amazing! Our commitment to the profession is evident in all that we do. The various subcommittee members look forward to the hard work and effort required to make this happen. 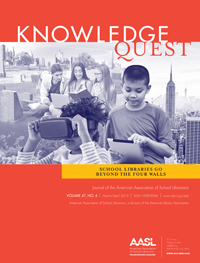 Funds from this grant will help us bring to fruition our goals of providing professional development and resources on the new AASL Standards, adding value to our membership, and contributing to our profession on a state and national level. 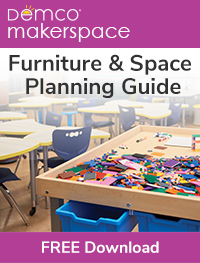 Again, we thank AASL for awarding us the 2018 planning grant in honor of Judy King and sponsored by Roger and Susan D. Ballard.